Myaamia students who attend Miami University have the unique experience of joining a small community of fellow Myaamia students, learning together, and expanding their knowledge about their own heritage and culture. Some students arrive at the University having lived close enough to Miami, Oklahoma to attend cultural events held there on a regular basis. Other students grew up farther away from Oklahoma and did not always have the opportunity to enjoy Tribal-sponsored community activities or benefit from tribal programs. Tribal students come to Miami with many different experiences and backgrounds. The programming, support, and activities on campus, including the Heritage classes within the Myaamia Heritage Award Program, help to connect all of these students to each other and the Tribe's culture, history, and current activities. Together, Myaamia students discover how they are related to each other, bond as a group, and learn they can turn to each other as they enjoy their years at Miami University. They graduate with a deeper understanding and appreciation of what it means to say "niila myaamia" (I am Miami). Miami Tribe members discover Miami University through family connections and information distributed through the Tribal offices. Myaamia students choose courses of study across a variety of available majors at the University. 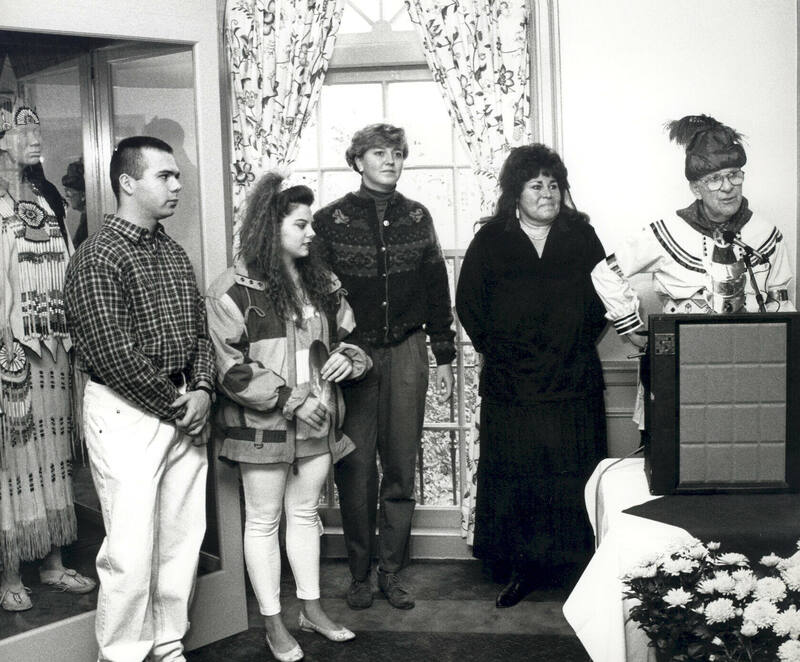 In August, 1991, three Miami Tribe members became the first Miami Tribe students to enroll at Miami University. Two students, Scott Burkybile and Tina Holan, were first-year students. Rachel Hall (Eikenberry), was a graduate student who graduated in 1994. Scott, the first Myaamia undergraduate student to graduate from Miami University (in 1995), is the son of Sharon Burkybile, the first Miami Tribe liaison to Miami University. Since then, many Myaamia students have chosen to receive their college education at the University bearing their Tribe's name. Over the years, the number of enrolled Myaamia students each semester has steadily grown and now commonly reaches 30 or more. Myaamia students enroll at the University from states all across the country. Although the Tribe's headquarters are in Miami, Oklahoma, only a handful of students come from hometowns in Oklahoma. The highest numbers of students come from hometowns in Indiana and Kansas. These states represent the heaviest historic and current day population areas of Miami Tribe households, due to the forced removals that moved segments of the Miami community from Indiana to Kansas and finally to Oklahoma. Each removal left the community fractured: some people moved, others remained behind. Smaller numbers of students have come from Washington, California, Texas, Alaska, Iowa, Missouri, Minnesota, Illinois, Michigan, Pennsylvania, and Ohio. Collectively, these students represent the diverse places where Miami Tribe families are currently located.